Yes! This year Obscene Extreme line-up begins to be properly filthy with punk! And straight away we start with a name that has lately been spoken about the most in the crust scene. MARTYRDÖD! What other band than these Swedish dirty bastards cause so many discussions about what it is and what it is not crust? Their recordings are so to say a radical change as for this style. Those who would think crust is a boring, flat although rough music should definitely listen to the latest MARTYRDÖD album titled „Elddop“ released last year at Southern Lord Records. And those who would not still feel persuaded must unconditionally come to Obscene Extreme 2015 to get convinced with their very ears!!! 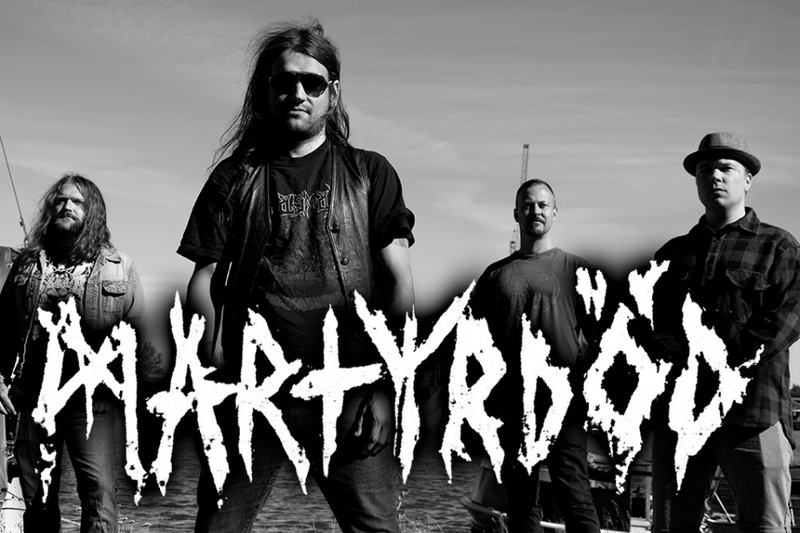 Swedish crustpunk horde Martyrdöd are among the newest crop of heavy, brutal, metallic crust-influenced bands to join the Southern Lord cult. In a scene overabundant with clones of the founding/front running acts of the genre, Martyrdöd manage to remain heavily unique in their filth-ridden approach. While undeniably influenced by acts like Anticimex, Bathory, and Totalitär, the band intertwines their crust roots with sinister, haunting soundscapes and unique blackened riff attacks. "Elddop" was recorded at the infamous Studio Fredman (At The Gates, Amon Amarth, Opeth) by Fredrik Nordström! The riffs are raw and powerful, with haunting melodies colliding with a storm of raw sonic shrapnel. Both Martyrdöd guitarists are veterans of the Swedish metal scene also playing in: Skitsystem, Agrimonia, Miasmal etc.